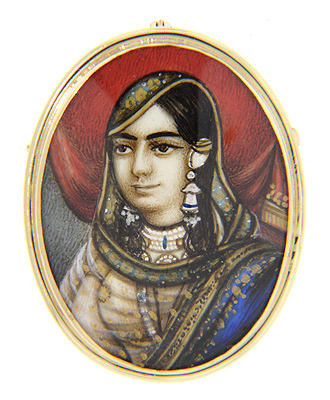 A 14K yellow gold frame surrounds a hand painted portrait of an Indian woman in elaborate garb. The portrait is painted on ivory. 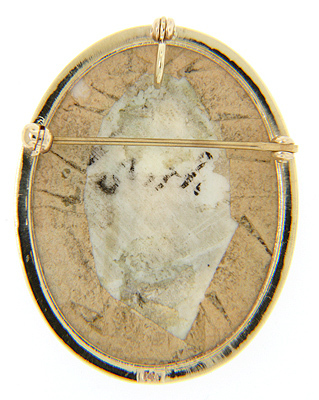 The combination pin and pendant measures 1 1/2" in height by 1 1/8” in width. Circa: 1880.